The MetalCloak Weld-On Shock Mount Kit provides front shock clearance for interference free articulation on the JK Wrangler. 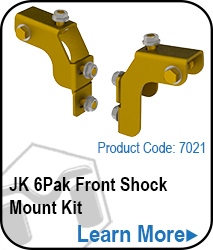 These front lower shock brackets replace the weak factory bracket with CNC formed, 7GA steel. 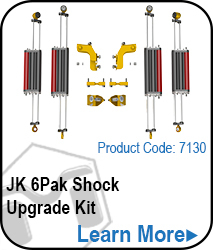 Get the room to fit and maximize the travel of long travel shocks, including our revolutionary 6Pak Shocks, and add much needed strength to the vulnerable area on the front of your Jeep. Factory brackets must be cut off to install the new brackets; weld on only. Note: This is a weld-on product. Do not purchase this product unless you are prepared to weld onto your Jeep. 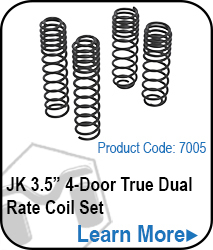 Note: May be used for other custom shock applications also. 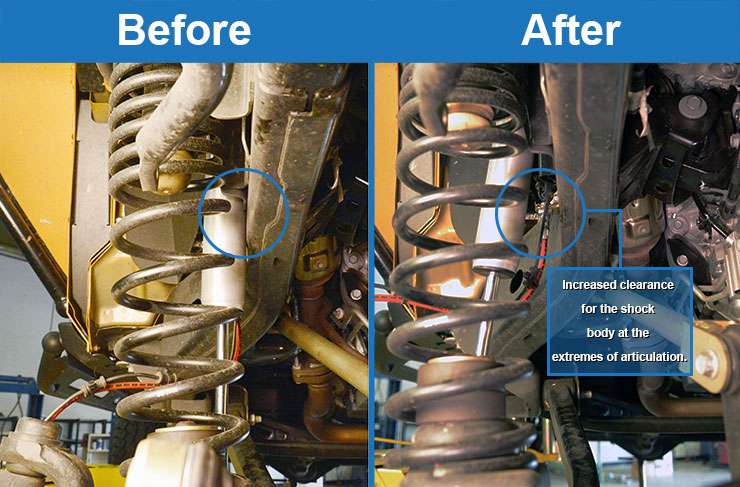 MetalCloak's Weld-On JK Wrangler Lower Front Shock Mount Kit provides more room for shock body clearance. The heavy duty 7 gauge steel bracket replaces the factory bracket and moves the mounting location outboard aproximately 1 inch. 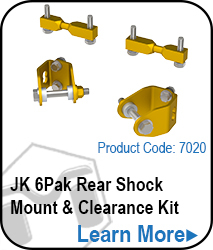 This is perfect for 6 Pak shocks or other custom shock applications that need additional room for fitment and also provides a much stronger mounting point.